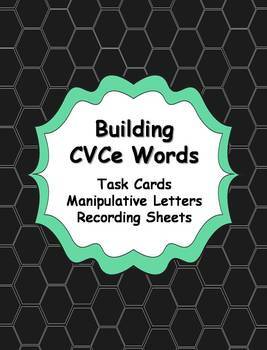 Do your students need more practice segmenting sounds and building CVCe words? 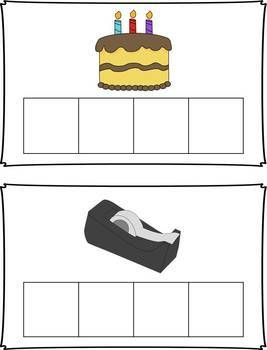 Here is a great activity, perfect for an independent literacy center! In this center, students will look at a picture, say the name of a picture, and build the word. 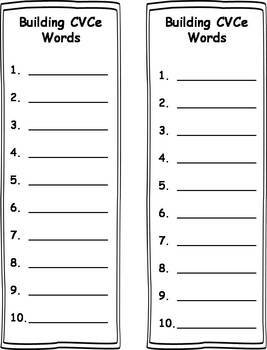 Then, using whichever of the 4 recording sheets you choose from those in this download, students will write the word on their recording sheet. 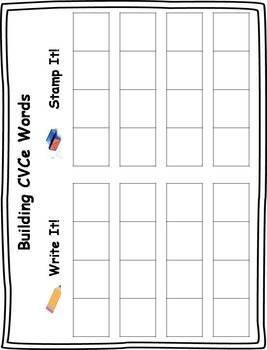 This activity gives you the option to either have students build the CVCe words with letter tiles and write the words. Or students can build the words and then stamp them in the elicon boxes on the recording sheets. My kids love stamping words!